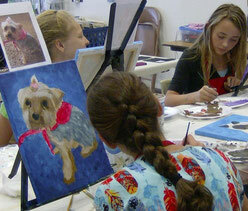 The Blackfoot Art Center offers quality studio art classes and workshops for all ages. 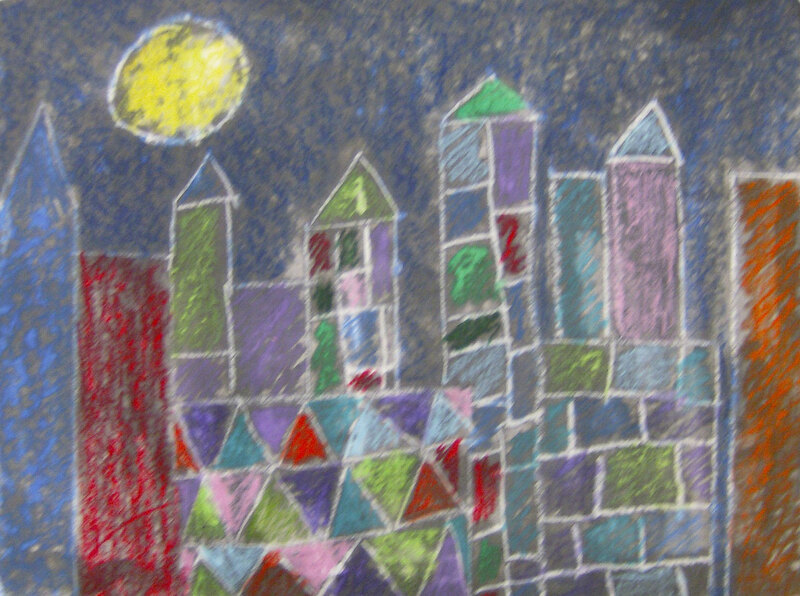 Our art classes integrate the basic elements of design using a variety of exciting media and techniques. 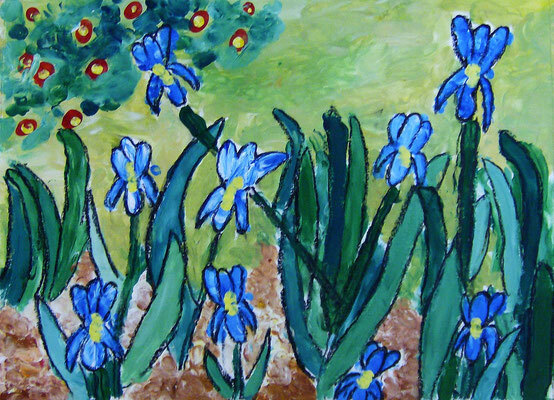 We also offer open art studio access, craft classes, art camps, and an After School Art Club (AAC). 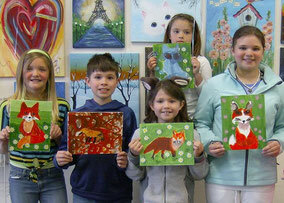 The Blackfoot Art Center wants everyone to be an artist - at least once! So, even if you've never painted, you'll want to try one of our Guided Painting classes & events, where you will complete an entire canvas painting in one afternoon or evening! All supplies and instruction are provided for one low fee. Upcoming event dates, times, sample paintings, and fees are posted under the Painting Parties tab above. Select one of our party themes, or one of your own, and we will provide a super-fun themed Party Craft or a Guided Painting for your child and his/her guests! Prices start at $50 for 8 children. 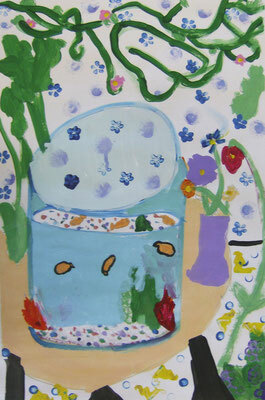 Download a Birthday Party Registration Form and mail or deliver to the BAC with your deposit to book your 'Arty' party! The mission of the Blackfoot Art Center is to encourage children and adults to develop their full creative potential through the visual arts. The BAC strives, through the visual arts, to create a unique environment in which individuals of all ages, abilities, and experience can feel free to imagine, create, and welcome the visual arts into their lives. 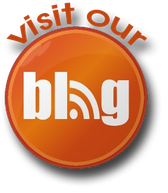 The BAC also seeks to provide volunteer opportunities in an environment that is challenging, rewarding, creative, and respectful of ideas and individuals. 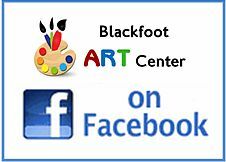 The Blackfoot Art Center is an all volunteer, 501(c)(3) non-profit organization. We appreciate donations of any amount, large and small. Your donations help to replenish art supplies, keep our class fees low, and serve students who might otherwise be unable to participate. Thank you for your support of visual arts education in the Blackfoot community! The Blackfoot Art Center wants to provide financial assistance to applicants who request it whenever possible. Our intent is to set fees at rates affordable to the majority of residents in the Blackfoot area and to provide financial assistance to those for whom the the Blackfoot Art Center’s fees are not affordable. We can only do this with the support of community members, businesses, and organizations that recognize and support our Mission. Please consider assisting a child by sponsoring a scholarship or campership. Simply click the Donation button below and designate that your donation is to be applied to a scholarship (or campership) or to the general scholarship fund. Also, please designate whether you or your company would like to be identified by name as a scholarship sponsor. 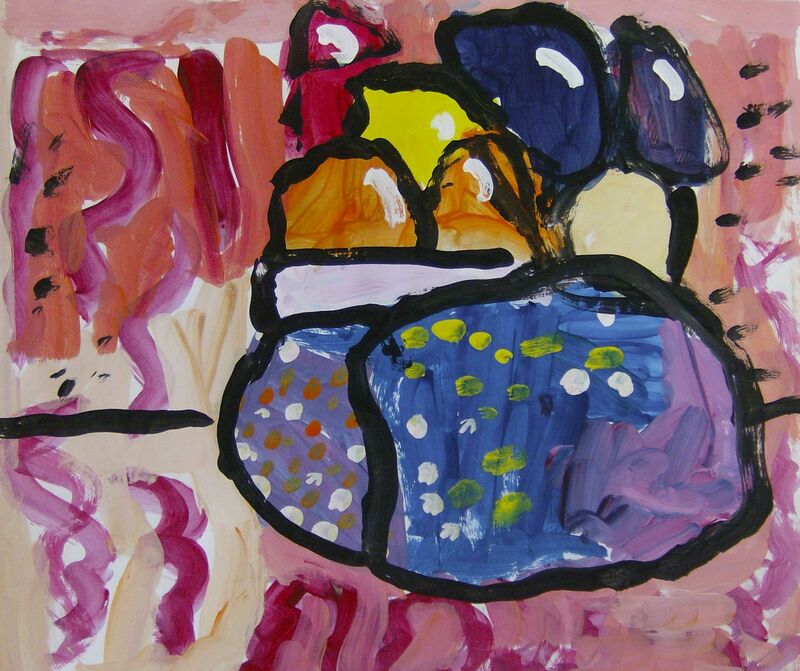 We truly appreciate your support of youth art programs in Southeastern Idaho!